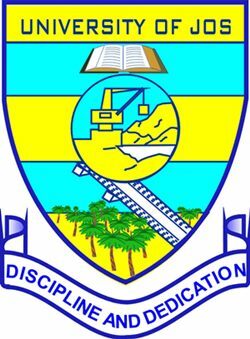 University of Jos, UNIJOS has responded to the viral news circulating online that the University has issued wrong classes of Degrees. The attention of Management of the University of Jos has been drawn to news being circulated especially on the social media that the University has issued wrong classes of Degrees to some Graduates of its Law Programme preparatory to the University’s upcoming Convocation. According to these reports, the Law Graduates were erroneously awarded First Class Degrees as published on the University’s Graduands Verification portal whereas they actually graduated with lower classes of Degrees. For the purpose of clarity, Management wishes to state that the Graduands list on the University website is a VERIFICATION PORTAL for Students to check and accept or reject the information contained therein as stated on the URL (address). The intent of creating such a portal was for the Students to be given the opportunity to preview the provisional list so as to make corrections on any clerical error observed, make suggestions and criticisms for future improvement. As clearly indicated on the instructions and procedure when logging on to the portal, stakeholders are to make inputs as part of the verification process for creating an updated Graduands list and it is not the final or awarding list. Worthy of note is the fact that this initiative would be the first of its kind in any Nigerian University. Before now, based on the information available to us, no Nigerian University had put up information in the public domain through the web for Graduating Students to check and make their input. This shows transparency on the University’s part and should be encouraged rather than vilified. Notwithstanding, because this is the University’s maiden deployment of such an interactive portal for its Convocation, some initial hiccups and inadvertent errors are to be expected. Management wishes to assure all stakeholders that since in the course of the current exercise some challenges were observed, lessons are being learned while corrections are being immediately effected on the website. The University will continue to count on the understanding and support of its stakeholders.